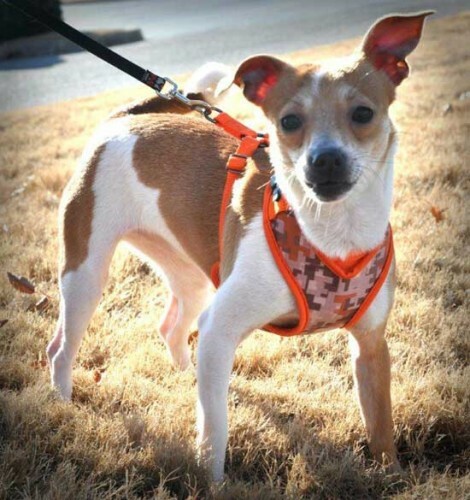 Dixie is an adorable female Jack Russell mix who is approximately 18-months-old. She was an owner surrender at the Olive Branch Animal Shelter when we rescued her. She is playful and cuddly. Best case scenario is a more active home as she is going to need a good walk or run to get her energy out. Dixie is heartworm negative, current on vaccinations, spayed and micro-chipped. She still has some puppy in her so she will need plenty of things to chew on. She would be better with older children because she would be a little overwhelming for smaller children. Dixie is just a fun dog who will play.